EnglishCentral participated in this year’s GLoCALL 2017 in Brunei as an International Plenary Speaker. 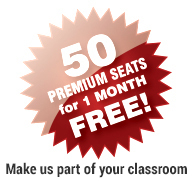 EnglishCentral is also offering all Conference Participants a free trial of EnglishCentral’s conversational English platform for 50 students. Contact us to get your free trial. Wise teachers often say that “95% of good teaching is just getting students engaged.” Online learning presents a new opportunity to both measure engagement and create learning methods that increase it. Facebook sets the high bar for online engagement: 65% of its billion plus users are on the platform for an average of 40 minutes per day. For online learning, the current stats are much less impressive. For example, the initial enthusiasm for Massive Open Online Course (MOOC) dampened when data showed that on average, completion rates were below 10%. The challenge for online platforms is to infuse themselves with some of the Facebook mojo to drive up engagement rates. This Plenary will showcase 5 of the best online English learning platforms and the techniques each uses to drive student engagement. The Workshop will focus on how teachers can use online English learning platforms to assess student’s vocabulary knowledge, recommend specific lists of vocabulary for them to study and use online vocabulary applications to build student’s vocabulary. The session will examine how the techniques of adaptive learning and time interval learning are deployed in various online vocabulary learning applications, the various sources of vocabulary lists and word corpora and how they are used in online learning applications. Specific data will be presented from case studies of online vocabulary learning in Japan & Turkey. Alan Schwartz is CEO & Founder of EnglishCentral. He started his career in Edtech as an English teacher in China over 25 years ago. After that he spent over a decade in the speech recognition industry, including as head of Nuance’s Mobile & Consumer division where he worked with Sony to develop of one of the first mobile games using speech technology called Talkman. In 2009, with support from Google Ventures, he founded EnglishCentral, which has become one of the leading conversational platforms for learning English online. Alan has a B.A. from Princeton University and a J.D. from Harvard University.